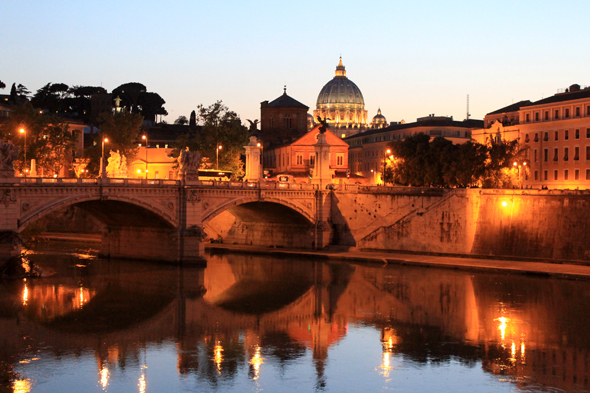 The Tiber, the night. It is in the Tiber where Rome owes its existence: the city developed around a ford. The river, torrentious in winter, flooded every year the city until 1870.